In Idaho, both large businesses and small businesses are often run and operated by managers. These managers can have different positions or titles including supervisor, manager, team leader, director, and/or department head. Human Resource managers are another group of managers that assist a business employer with the employment relationship. It really doesn't matter what t title is, if you manage, supervise, or are in charge of employees in any way, then understanding and knowing about basic employment law matters is important. Our experienced Idaho Employment Lawyers can help you. Our Employment Attorneys in Idaho have experience representing large and small businesses and business managers of all types and kinds in a variety of employment law matters, administration actions and in litigation. Whether it is hiring, disciplining or terminating an employee we can help. Our team of Idaho Employment lawyers is experienced and respected. 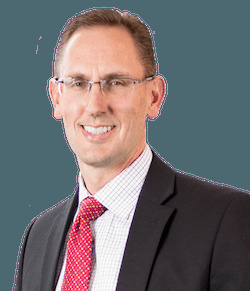 Lane Erickson is a partner in the Racine Law Firm that has received the highest possible rating of “AV” by Martindale Hubbell and from AVVO and JUSTIA for his ethics and legal ability. The moment a business hires an employee, the managers of the business are involved in an employment relationship with that employee. This relationship often includes daily interaction, and sometimes disagreements, grievances, disciplining and other problems that have to be handled by the manager. Our experienced Employment Lawyers in Idaho Can help you understand and properly manage the employment relationship that exists with each employee. We help managers with every aspect of the employment relationship. We have experience in reviewing employment applications and assisting with the hiring process, especially when a manager is interviewing or considering an applicant for employment who belongs to a protected class due to a disability, or because of their age, religion, race, gender, and/or nationality. It is our job to help every manager understand the applicable areas of discrimination, and all other applicable employment laws, and to avoid any conduct or actions that could jeopardize the employer. 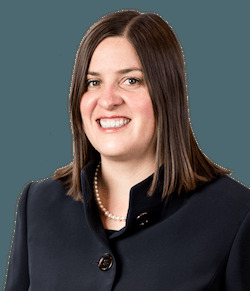 Gender identity and gender choice is an example of an area of employment law in Idaho that is growing and changing. We can help you determine whether an federal, state and/or local laws apply to you as an Idaho Employer, and we can help you navigate this ever changing area of law. There are a variety of employment laws which every manager should understand. Our Idaho Employment Law team assists managers and helps them understand and correctly apply applicable employment laws. These laws often include the Family and Medical Leave Act which is commonly known as the FMLA. It is important for every manager to understand when an employee might be entitled to receive protected leave. This essentially means that the employee can leave the employment for a period of time with the assurance that they can return to their same job at the same rate of pay. Other protected leave; minimum wage and overtime laws designed to prevent discrimination against any individual on the basis of their belonging to a protected class are also vital to understand. Additionally, from the interviewing and hiring process all the way through to the termination of the employment relationship, managers working with the our Idaho Employment Law team of attorneys can have peace of mind in knowing that they are handling each situation correctly and that they will be protected under the applicable law. Our job is to help make your job as a manager easier and to give you peace of mind. The experienced Idaho Employment Law lawyers at the Racine Law Office are here to help you when you need it most. Whether you are an employer or an employee with an employment law problem we are available to discuss your options and answer your questions. Call us toll free at 877-232-6101 or 208-232-6101 for a free consultation with the Racine Olson team of Idaho Employment and Labor Law attorneys in Idaho. You can also email us directly at racine@racinelaw.net. We will answer your questions and help you solve your Idaho Employment and Labor Law problems.